Bluebird Music Together - Birthday Parties! 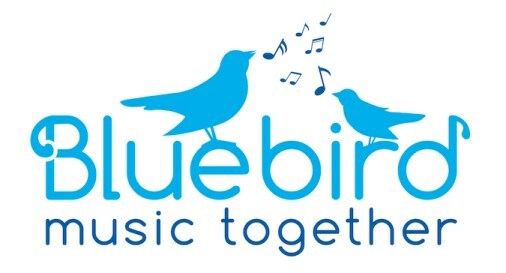 Bluebird Music Together Birthday Parties! Option #1: You come to us! Located at our main studio, 3470 Erie Blvd East, Syracuse 13214. For children ages 0-8. We can provide you with a fun, clean, safe, and easy birthday party for your child! Your child’s birthday party at our main studio we call "The Nest" will start with 15-20 minutes of gathering time and instrument exploration, then a 45-minute Music Together-style class (or Rhythm Kids class for ages 5-8) with instruments, props, singing, and dancing- fun for the whole family! Afterwards, we will set up tables and chairs for you if you choose to serve food (dessert only please) and open gifts. Music Together Welcome CD's for your goody-bag giveaway will all be available upon request. Set up and clean up is taken care of for you. We are happy to personalize the songs and activities you’d like to use for the music-making fun at your request. Depending on availability, you may request which Bluebird Music Together teacher hosts your party. This party is appropriate for 12 children and the grownups who love them and is typically 1.5 hours total. Children under the age of 5 must be accompanied by an adult. Parties at our studio are $275. Option #2: We come to you! For children ages 0-5. Having your child's party at your house or another venue? We can come to you! A music specialist will come and provide approximately 45 minutes of musical fun, with games, props, and instruments in tow. Music Together Welcome CD’s for your goody-bag giveaway can be provided upon request. We are happy to personalize the songs and activities you’d like to use for the music-making fun at your request. Depending on availability, you may request which Bluebird Music Together teacher hosts your party. This party is appropriate for 12-15 children and the grownups who love them. Parties at your own location are $175.